Jamiee Kidder, Park City School District’s Behavior Specialist, will offer ways to keep the holidays happy as she speaks at a Lunch & Learn on Tuesday, Dec. 12, from 12:15 to 1 p.m. at the District Office. 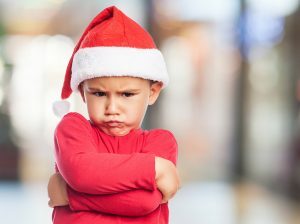 The holidays are a wonderful time of year; however, the Winter Break often brings its own set of behavior issues and stress for our students and families. During this session, Kidder will discuss strategies for avoiding power struggles and other behavior problems that detract from family time. She will also talk about ways to cope with holiday chaos and stay focused on positives during this busy holiday season. Kidder, who also works as a graduate research assistant at the University of Utah during the summers, is currently a doctoral candidate at the U in applied behavior analysis and special education.